Industry enthusiasts and experts met in Las Vegas again this year to take part in the 2019 edition of CES, the Consumer Electronics Show. The largest and most important consumer electronics fair has once again unveiled some of the themes and innovations that have made food, health and automotive a philosophy of life. Yet the most astonishing presentations were undoubtedly the tech innovations. 4,500 companies, thousands of visitors from over 150 countries, a 250-conference schedule from January 8-11 at the Convention Center. 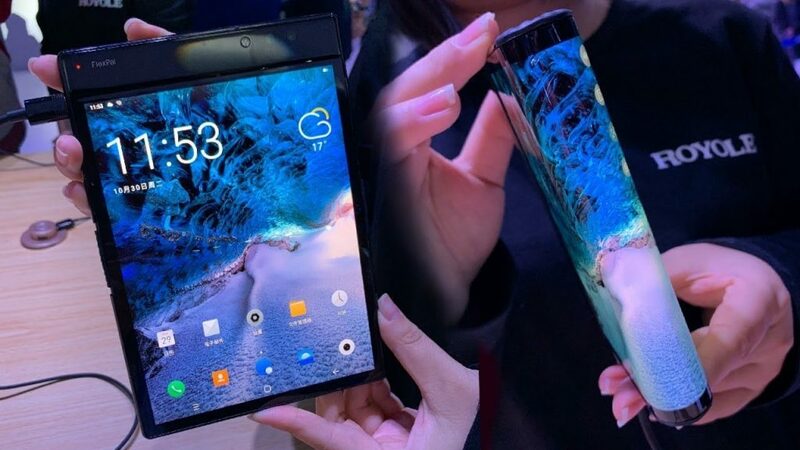 The long-awaited flexible, literally foldable devices are finally here! The first company to stand out was Royole, a Chinese company based in Fremont, California, founded in 2012, with its FlexPai, the first folding device. Fully open, the FlexPai looks like a 7.8″ OLED screen tablet in shape and size, enabling colour displays that emit their own light. Close it, and the device becomes proper smartphone-sized, with a flexible rubber covered hinge to help it flex and halve the size of the display. Equipped with two cameras, one 16 and one 20 Megapixel, and a Qualcomm Snapdragon 855 processor, FlexPai can already be ordered online in the 128 GB version at a cost of €1388 or in the 256 GB version at a cost of €1539. If folding technology has already reached smartphones, television cannot be far behind. 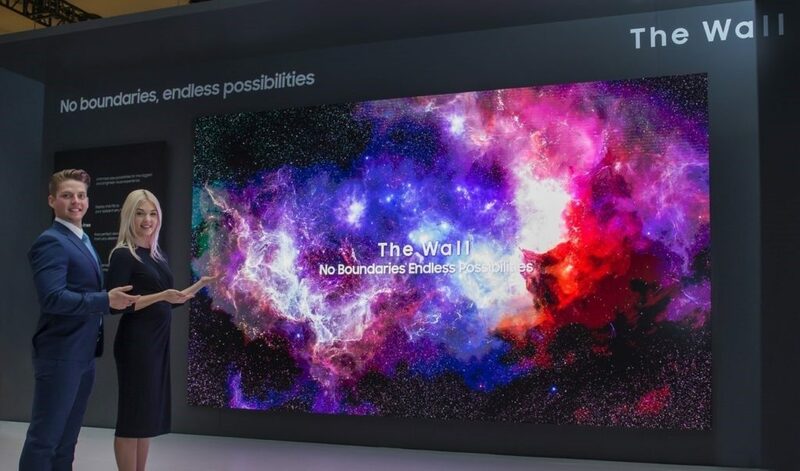 LG knows this well, and presented the first roll-up TV at CES 2019. 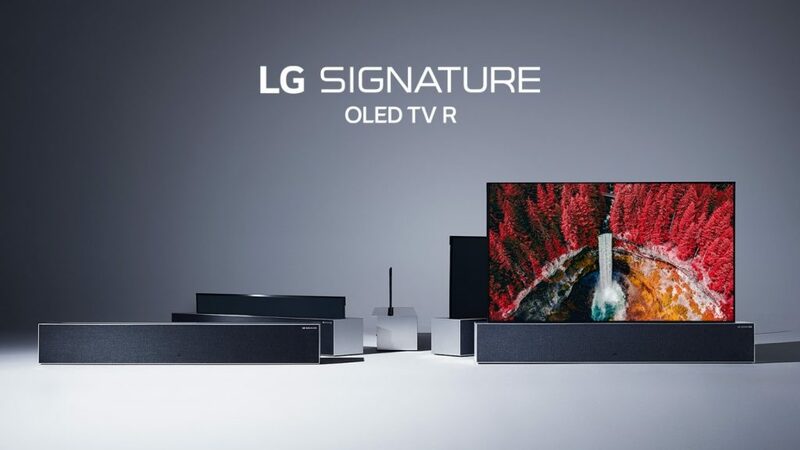 The South Korean company unveiled its new Lg Signature Oled Tv R, to the immediate enthusiasm of the entire audience. Its extra large 65-inch screen can fully roll up into a device to be used ‘only halfway’ to check the time or the weather, browse photos shared from your smartphone, listen to music or turn it into an actual piece of furniture. 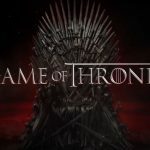 In addition, the TV will leverage artificial intelligence to enhance the audio-visual experience and will be compatible with all major voice assistants, including Amazon Alexa and Google Assistant. Some fold, unroll and bend, others assemble and disassemble their TVs like a Lego construction: we’re talking about Samsung and its new Micro Led model, its screen modular and stackable at will. This technology is very similar to the Oled technology, allowing consumers to assemble their TV to fit their requirements, adapting it to the desired size and shape that will go best with the space of the area they occupy, ensuring a spectacular effect! 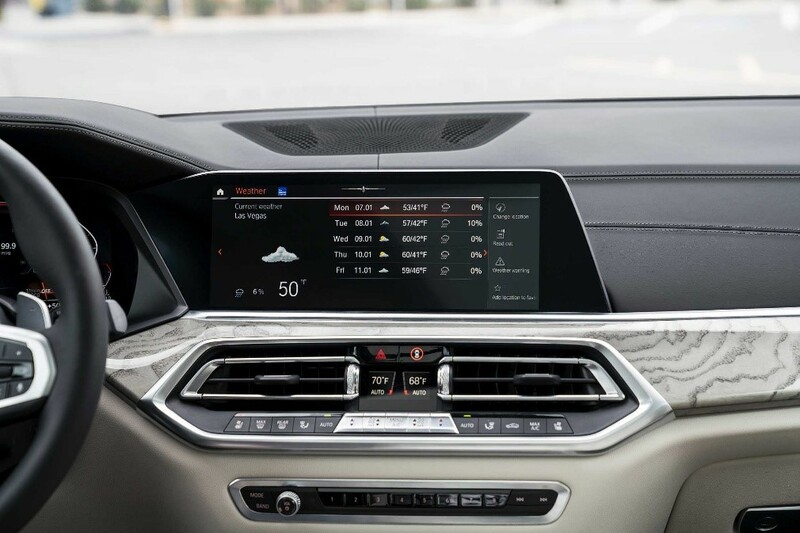 The automotive world has also captured people’s attention with innovations that could substantially change the onboard experience. BMW was one of the first to take the step by introducing a humanised driver’s assistant into their cars: BMW’s Intelligent Personal Assistant, available as early as next spring. It is activated with a formula known to technology enthusiasts, a “Hey, BMW” command that can be personalised with a name of choice. The second carmaker to offer noteworthy innovation is another German brand, who developed an innovative concept for in-car entertainment. We’re talking about Audi, who presented a system at CES 2019 that allows its passengers to identify with Marvel characters. With virtual reality technology combined with car movement, the four-ring house will allow rear-seat passengers to watch movies, play video games and enjoy interactive content. 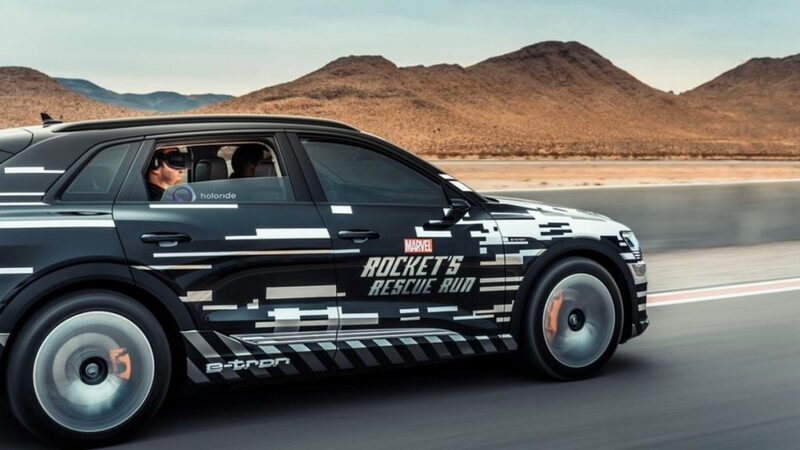 This new entertainment format has been tested by Audi in partnership with Marvel, developing the Marvel’s Avengers experience, Rocket Rescue Run: Audi e-tron passengers can virtually enter the Guardians of the Galaxy’s spaceship, which will follow the movements of the car and turn a car ride into a space experience! To stay on the subject of true superhero galactic experiences, Tribe’s colourful and fun accessories can be a valid alternative to keep you connected with technology. Marvel characters’ earphones, USB sticks, power banks and car chargers will take you where reality and imagination almost collide!